Dies ist die englische Version des Interviews, bitte lest die deutsche Version hier. 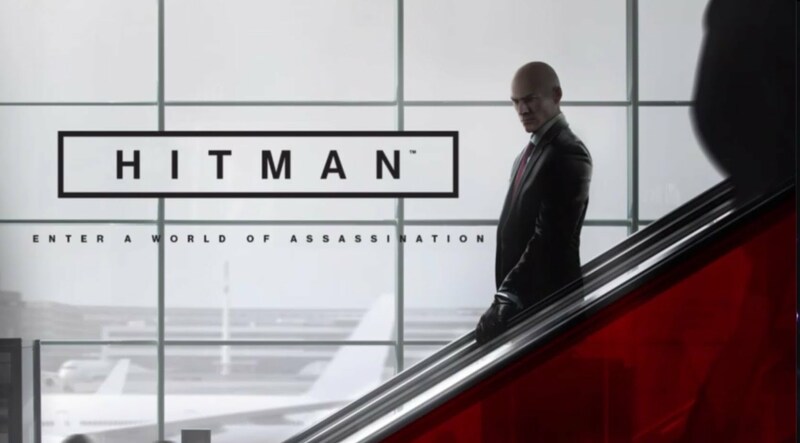 At this year’s E3 Io-Interactive surprised the fans with a new Hitman game, which is simply called Hitman. It takes us back to the roots and throws most of the supernatural Instinct mode of its prequel over board. The anti-hero Agent 47 is at the climax of his career and eliminates targets for The Agency around the world. The developers plan to break some new ground with a brand new publishing model: The game will launch on December 8th digitally on PC, Xbox One and PS4, but will not be complete in terms of content. Io-Interactive wants direct feedback and plans to work together with the community to add more levels and features to the game after launch before a physical edition will hit store shelves. The studio will not only use the online connectivity of PC and consoles for feedback since new live events take place from time to time and a target killed once may never return. The famous asynchronous Contracts multiplayer mode will also return with new exciting features. During our exclusive interview with Hannes Seifert, Studio Head of Io-Interactive, we took a closer look at what fans can expect from the next installment in the beloved series. Nova Crystallis: I really liked the Hitman announcement trailer at E3 this year. I think I recognized the signature of Square Enix Visual Works, too. Can you tell us more about the trailer? Hannes Seifert: Of course we always do this together with the rest of Square Enix and as you said correctly, in this case together with our colleagues from Square Enix Visual Works in Japan. The core idea of this trailer was to show the “World of Assassination” and hints about possible locations in the game. We wanted to share a preview about potential targets like Viktor Novikov, too. The other characters in the trailer are special people, as well. We wanted to create an action-packed trailer without action. Hitman is not a game of continuous explosions or shootings. Nonetheless it’s a game that can thrill you and can cause a lot of excitement. Having so many other story-packed game trailers out there was an inspiration, too. However, we wanted to make a music video instead – a trailer you watch once and again, maybe even one more time to cut it together differently and see what happens. That’s why we put the music in the foreground. It fits well to our approach with Agent 47 being on the climax of his career. He is the ultimate assassin and we wanted to convey this with our trailer. There is this world of the rich and mighty ones and he is buff, utilizes all of his skills and is surely not down for the count. Nova Crystallis: Will the story be told in such lavish pre-rendered cutscenes or will you use more in-engine scenes? Seifert: With Hitman: Absolution we only used the game engine for cutscenes. I am not totally sure yet, but I think we will do it likewise. Maybe pre-rendered or with the game-engine, but definitely using game assets, because somehow we want to be consistent. In terms of the story we wanted to go with the characters. I can’t reveal too much, but I can say that the story will be more in the background this time because it was so linear before. We have a certain plot which ties all levels together and explains how things work. There are surely cutscenes, which narrate parts of the story, but much of it will be told while playing. We have this new A.I., which can do so much more; interact more, talk more and is much more denser. We want your targets to be the real stars of the game. I think we achieved this very well. Nova Crystallis: Can I imagine the next Hitman being like a TV series? I think it also fits to your way of publishing. You have a single episode with its characters and a certain story, but the characters continue in a much larger framework plot. Seifert: It’s maybe not the worst comparison. Sure, it’s not a TV-series since it’s not so linear, because the player can decide about the order of the levels or which mission he wants to take next. But the story will be told from different perspectives and needs to make sense, even if you don’t play the levels linearly. So there will be contracts, which depend on each other to make the story plausible, but a big part of the missions will be independent. Nova Crystallis: I am a big fan of video game soundtracks and it’s one of the reasons why I love Hitman. Jesper Kyd accompanied the Hitman series as a composer for a long time and did a fantastic job, but wasn’t involved in Hitman: Absolution. Can you tell us more about the new soundtrack or possible plans to bring Jesper Kyd back on board? Or will the soundtrack be done in-house? Seifert: It sometimes happens that there is a composer in-house, but you need a specialist though and cant employ a jazz, pop or rock musician at a studio. We did test recordings with several composers, but in the end we decided on Niels Bye Nielsen, a Danish composer, who comes from a very experimental scene just like Jesper Kyd. He is very creative and that supports the new sound of our game very well. Nova Crystallis: Can you tell us more about the variety of levels and places we will go to? Seifert: In the next weeks we can tell you exactly what levels or locations will come. We want to be precise and want to tell you what comes when. Our way of releasing the game surely gives rise to questions. If you do something new, people start to wonder and because fans put their confidence in us we want to fulfill their expectations. Of course, we will not expose every level, since you neither knew any level in Hitman: Absolution right from the beginning. But I can tell you that Paris is one location as well as the markets of Morocco. Traveling around the world and the assassination tourism are a central part of the game. Nova Crystallis: You mentioned the story being told during a mission. What about the end of my mission and its consequences? Will I see what happens afterwards – will there be a cutscene or do I simply eliminate the target and get a screen for my scoring? Seifert: Both are correct. After you accomplished your contract you will see the consequences and sometimes they will be more story-packed. Yes, there will be a screen with your score after the mission. You will see which play style you have chosen: was it more stealth, more action or puzzle? If you want to, you can get more into the details here. Some people found the scoring system in Absolution more bothersome because it gave you negative feedback, too. We now want every play style to be legit. We know that many fans want to eliminate just the target, unseen and in their suit. But we don’t want to punish others for their way of playing the game. On the scoring screen you can compare with your friends, your country or the global community. Nova Crystallis: The Instinct Mode is back and can be turned off. In the last game it often felt overpowered. How are you handling it this time? Seifert:Basically, the Instinct Mode is still there but it is not relevant for the gameplay. It’s just a feature for navigation, which shows you where you can climb or interact with items. You won’t use it to master the mission. There won’t be any meter like in Absolution that fills up and can be used to hide or for point-shooting. We listened to our fans and changed it. Point-shooting now depends on the weapon type you use. The Instinct Mode won’t let you exit a level that easily again. Instead there is more freedom to handle difficult situations. Nova Crystallis: Contracts Mode sees a return and is perfect for your new complex levels. How does it work in the new game? Maybe more like a level editor, where I can chose to permanently close a vent or door for players? Seifert: Maybe (laughs)! I can’t say more about the Contracts Mode, but we will soon announce some new, amazing features for it. To some degree they were right, since Hitman is not a game where a stacked up multiplayer makes any sense. Blood Money became our inspiration after a player killed the gardener and uploaded a video of it on YouTube. Other players wanted to beat this challenge and uploaded their videos as proof. This was our inspiration for Contracts as a successful asynchronous multiplayer mode. We were happy that it was so popular, but never believed there would be more than 30 million played contracts or that nearly 40% of the players used it. That’s amazing! The new game gives you so many possibilities. The levels are bigger and we can incorporate more than 300 characters with their own A.I. as a potential target – where Absolution could only handle 50 as a maximum. Additionally, we will announce some more features which make it even more exciting. But we will stick to “Play to create.” We don’t want to torture players with a level editor. Hitman is a creative game where you use the situation and alter the game world. You challenge others as you play it and how you play it. You can challenge your friends, colleagues or other fans around the globe. Nova Crystallis: Titles such as Assassin’s Creed proved that a stealth game with eliminating targets can work in a competitive environment. Have you considered something like this for Hitman, too? For example – two players in a hunt for the target, but without shooting each other all the time? Seifert: We’ve got far-reaching ideas for this. Of course we think about all kinds of things, but it needs to fit into the Hitman universe. 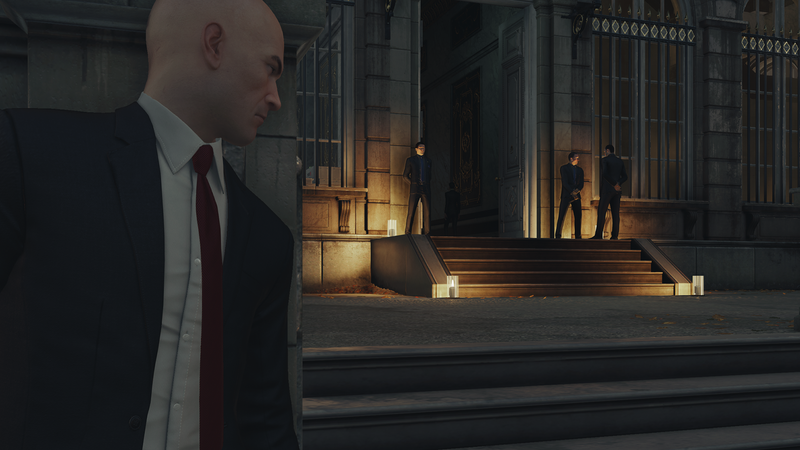 We don’t want 20 Agent 47s running around in a level, but we need to find something that’s fun and gives us the right feeling. If we found something like that – let’s see (smiles). Nova Crystallis: If I take a look at your publishing model, it reminds me of a MMO – being developed for the community and looking forward into the future. On the other hand I think of Destiny, which is also a game with a fixed price but post-launch updates. 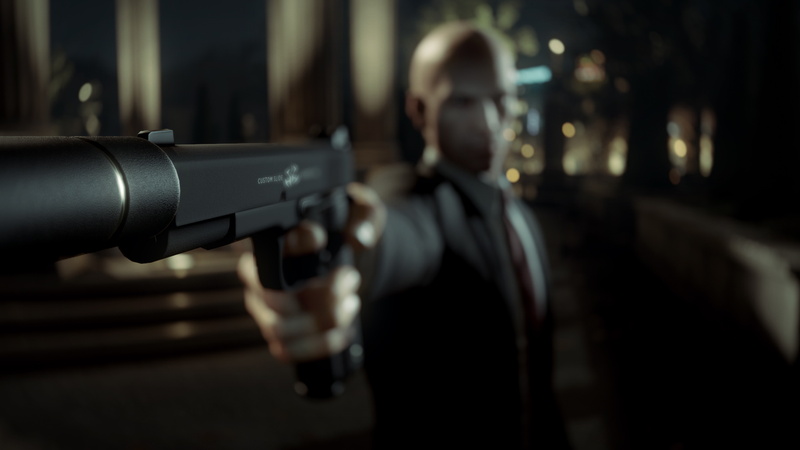 What kind of tools are you using to develop Hitman content with the community and onward after launch? Seifert: With games like Blood Money or Absolution we had this problem of developing a game for up to six years. Then you shipped the game, listened to what people liked and disliked before returning to your closet to work on the next game. We wanted to change that so here is our answer. We know that Hitman is a love brand for some people and that it has a major importance to them. That’s why we need to treat this project with the proper respect. PC and the new consoles PS4 and Xbox One are online nearly 24/7. We didn’t have that back then. It’s a way to connect us with our fans and gives us the opportunity to react to things they like or not. That’s why we’ll start with the beta on PS4 and PC, so we can get feedback even before release and react on it. Because our level design is so complex, it takes a year or more to develop a level in the game. Everything we release will of course be finished and polished. It’s our responsibility as designers to make the best out of the game. We won’t give control to the hands of others completely, but we will definitely listen to the feedback of our fans. You asked how we collect our feedback. There are hard facts, the metrics: What people do, where they go to, what features they use and what level they play most. Then there are soft facts: What are people writing in the forum, what’s happening on Twitter, Facebook or coming in via mail? People tell us their opinion over different channels. There are different groups, of course, but we try to consider as much as possible and not react in a cycle of four or five years, but much earlier. Nova Crystallis: What will the player feedback result in? Do you throw a level on the market and ask players how they liked it to improve on the next one? Or do you present prototypes to the players and let them decide which one you will continue to develop? Seifert: Both are interesting to us. Of course we will release the game partially with existing content and had a closed alpha already. We saw how people reacted and what they did. It’s the first step for us and a joy to watch what fans do with the game. It seems like we are doing the right thing. 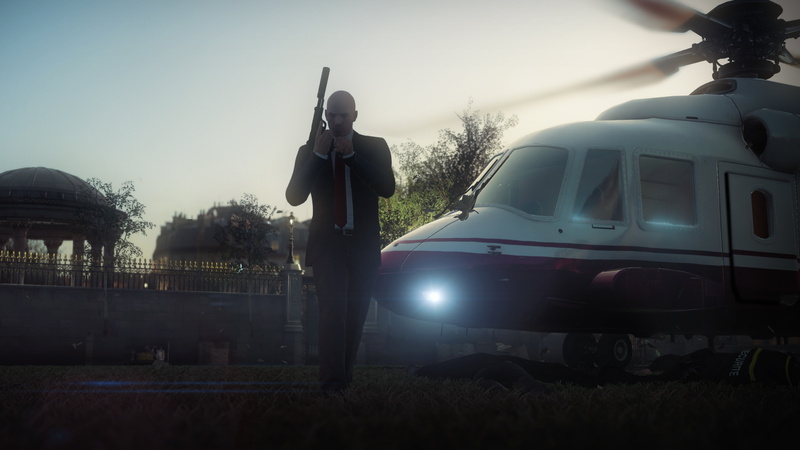 There are always people with a firm opinion and you may know from the official forums what people said about the new appearance of Agent 47. That’s okay and exactly what we like to hear. Should Agent 47 be aged 95 instead (laughs)? It’s a very popular franchise and that’s why we need to listen to our fans. Nova Crystallis: Gaming apps are very popular these days. We just need to look at Deus Ex: Mankind Divided, which has an app even before launch with things to unlock in the game. An app would be ideal for Hitman to read about new missions or live-events. I also imagine getting new missions on my Apple Watch. Do you have plans for a Hitman app? Seifert: If you remember, we had an app for Hitman: Absolution – the ICA app. It allowed you to plan your contracts or check your gear. It’s something we want for PC and consoles, too. And stuff like a short briefing about your target on your Apple Watch totally makes sense to us, as well. Nova Crystallis: Can you tell us something about the release date of the beta? Seifert: It’s a bit to early at Gamescom for that. We started our alpha shortly after E3 and need more time to handle it correctly. That’s why we will release details about the beta shortly after Gamescom. Nova Crystallis: During E3 I was quite surprised that you not only announced the game after such a long wait, but also told us the release date for this December. It’s only half a year until launch and the media and most of the fans haven’t got their hands on the game yet. A lot of people become wary. What was the reason to announce the game so late or so close to its release? Seifert: I believe it’s important to announce something you can really deliver. You probably have seen how a lot of games changed after their first announcements. They got delayed, features got cut or you saw stuff, which wasn’t there in the end. That’s something I don’t want to do and that’s why I trust in a short PR campaign. We want to be close to our fans, do the alpha and beta and take our feedback from that. Nova Crystallis: Fans of the new game could already vote for the contents of the physical Collector’s Edition of Hitman. Isn’t that a problem for fans who want to play the game at launch in December, but need to wait for the physical Collector’s Edition until some time next year? Seifert: This might not be a contradiction (smiles). We will reveal more details in the next weeks. Nova Crystallis: So it could be that you pre-order the Collector’s Edition of the game and start playing at launch? Seifert: I can’t tell you any details. Nova Crystallis: You released a video with the job listings on your website. 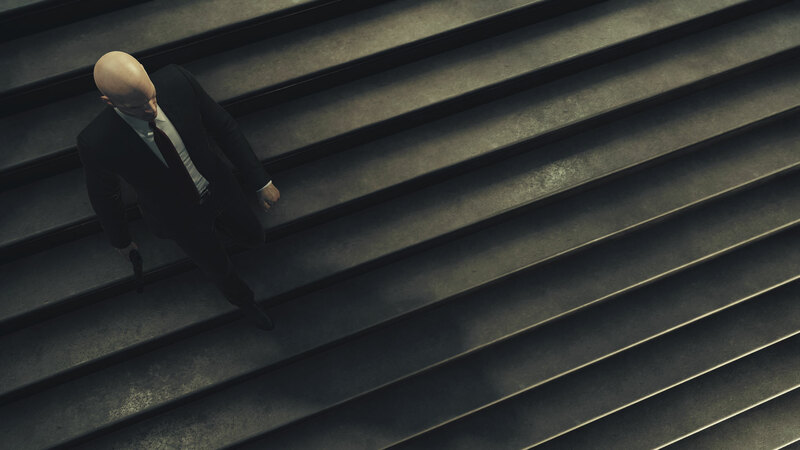 It tells us something about your studio’s philosophy and that the new Hitman represents it. Does it mean you might develop future titles like the next Hitman, too? Seifert: We always have ideas for games and did titles like Mini Ninjas, Freedom Fighters or Kane & Lynch. There are surely games which never saw the daylight, but that’s normal. The DNA of Io-Interactive is “our own IP, new things, new ideas”. We have our technology, which suits to many things and we have a certain specialization. We want to lead the way for digital blockbuster games. We currently do that and that’s why we have so many discussions, but I believe it’s a good sign. It could become a new trend if we were just fairly successful. If we did something new then it needs be faithful to our philosophy. 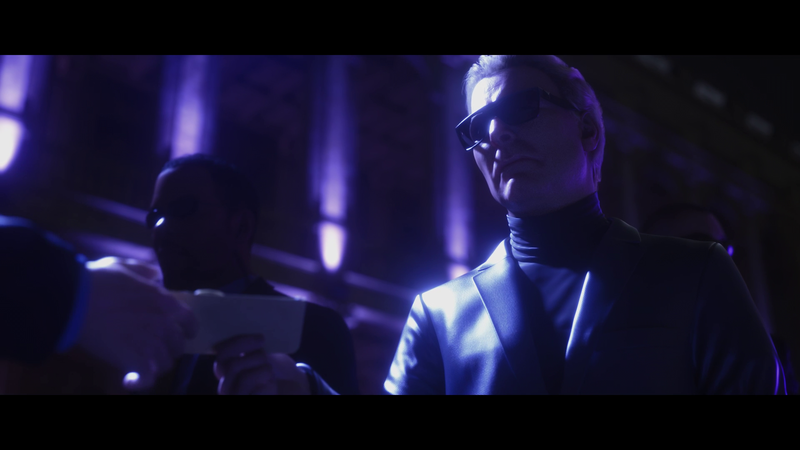 Nova Crystallis: With Hitman: Agent 47 the second movie based on your game will release soon. Do you want to tell us more about your cooperation with 20th Century Fox? Seifert: We worked closely together with Fox and look forward to the movie and its reception. We have watched it of course. We gave Fox all the materials, and they were interested in and that could inspire them. The movie is inspired by the game, but of course it’s a movie and not a game. It’s our job to make good games and it’s the job of Fox to make good movies. There are some parallels, but the movie is a completely different interpretation of the Hitman universe and that’s just fine. There are probably exaggerated expectations from the fans of the game and movie lovers, too. We hope that maybe new fans join the Hitman universe and take a closer look at our games. 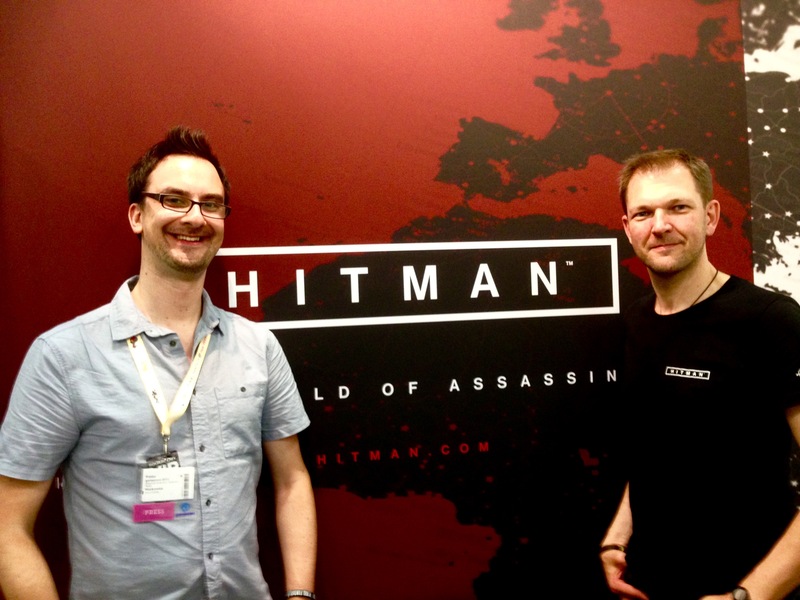 Posted in Gamescom 2015, Headlines, Hitman, Interviews.